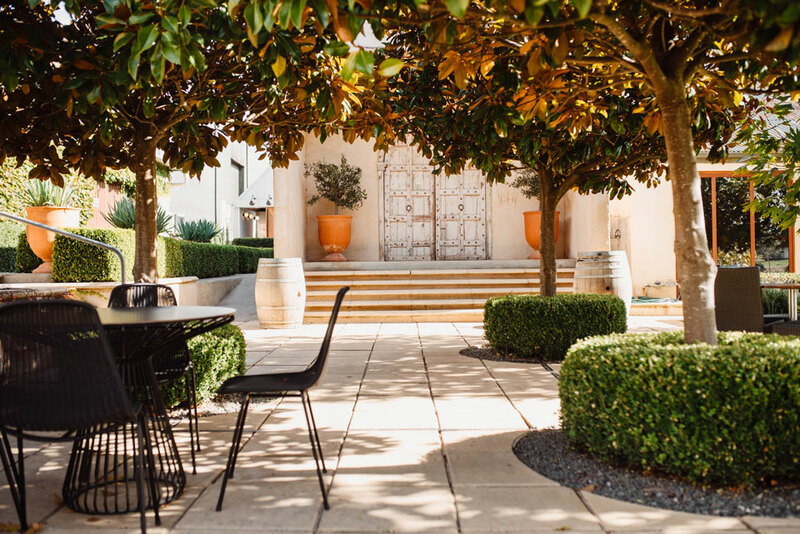 Adelaide truly connects with its nearby Hills wine region, a cool-climate heaven in terms of chardonnay, pinot noir and sparkling wines. J Withers, Trim Photography, Mike Smith, Meaghan Coles, Jonathan van der Knaap, Meg Hansen, Koren Helbig and David Solm and courtesy of Shaw + Smith, Sidewood Estate, Golding Wines, Hahndorf Hill and Ashton Hills, Greenhill Wines. They don’t call them the Hills for nothing. Turn your gaze eastward from the Adelaide CBD and the highest peak in the region, Mount Lofty, though surprisingly not too lofty at 727 metres, dominates the horizon with its three adjacent telecommunication towers setting the landmark. The western ridge of the Adelaide Hills wine region stretches from as far north as Mount Crawford, bordering the Barossa region, to Willunga Hill in the south, which many might have imagined as part of the neighbouring McLaren Vale region. Roughly 70 kilometres long tip to tip and at its widest around 30 kilometres, the Adelaide Hills is characterised by its unruly topography, much of it between 400 to 550 metres in altitude. For winemakers and grape growers this means vast changes in rising and falling slopes that face north, south, east and west, with crazy variations in micro climates impacting on the essential fruits for the district’s signature cool-climate wines. Larry Jacobs from Hahndorf Hill. That same geographic puzzle presents both trepidation and wonder for travellers. Narrow roads twist and turn their way along a myriad of valley and gully floors then climb over ridges where one spectacular view morphs into another. Apple, pear and cherry orchards clinging to the hillsides one moment, vineyards the next, all backed by huge tracts of stringybark forests and massive gum trees as if painted by the famed Hills artist Hans Heysen. As the seasons change it feels as if you’re inside one of his canvases. The colours of autumn-tinged oaks, maples and elms have become a tourist attraction in their own right in the region’s many small villages, as have spring’s floral outbursts of camellias, rhododendrons and azaleas. In summer when it’s heatwaving in the high 30 and 40 degrees celsius on the Adelaide Plains, the Hills’ altitude helps to ease things back a good handful of degrees, especially cooling off at night. In winter it can fall to daytime-long single figure temperatures. In other words, travellers need to pack smart. Look out also for a couple of major wine festivals – Crush at the end of January for a summer celebration, and Winter Reds in July, when just about every venue will have a wood fire burning away to add to the ambience. Except for mid-winter there’s an outdoorsy adventure waiting to happen. The beautiful botanic gardens are open, walk part of the 1,200 kilometre Heysen Trail, or ride the sealed Amy Gillett Bikeway from Oakbank to Mount Torrens, where on weekends the cellar door of Lobethal Road Wines is a neat little finishing line. Keep an eye on roadside produce stalls for locally picked fruit and vegies, even pick your own at some venues, from strawberries at Beerenberg outside Hahndorf to apples in Lenswood. And if grapes are the fruit you’re really exploring, there are more than 50 cellar doors open, many on weekends only but plenty every day and several by appointment. Set in plan what you want to discover – cool climate varieties dominate of course from sauvignon blanc and chardonnay, and more recently grüner veltliner, to the red hero pinot noir and regionally styled shiraz (sometimes called syrah to differentiate the Hills take from warmer region styles). 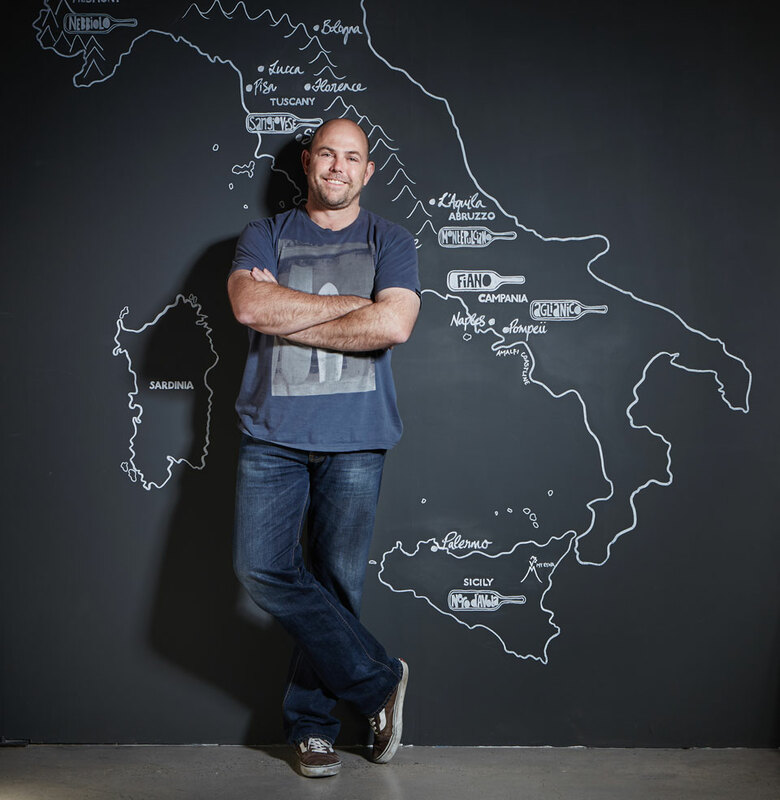 Fine sparkling wines are now grabbing their own spotlight, as are many alternative varieties, while there’s been a lot of noise about a new generation of so-called natural winemakers from Basket Range and surrounds. If one thing characterises a cellar door adventure in the Adelaide Hills, it’s how so many places are set in their own family or estate vineyards. The vines are just an arm’s length away as you sit out on a deck and taste the wines made right there, often in guided flights and with a small redeemable charge. Many cellar doors provide intimate tasting experiences, leaving visitors with a genuine sense of connection to a region and with the people who make the wines. Candice Helbig and Frewin Ries of CRFT Wines. The Adelaide Hills region stretches northeast to southwest just 30 minutes out of the city and 45 minutes from the airport and, because of its size, is a must-drive adventure. Don’t expect to rush your way around, however, as the dynamic directions of the region’s gullies and ridges mean many of the roads can be winding – the plus side is gob-smacking views at every twist and turn. If you’re combining a Hills sojourn with a visit to one of the neighbouring regions, the Barossa and Eden Valleys to the north or McLaren Vale to the southwest, you’ll come in at opposite poles which could determine how you approach your stay. There are more cellar door options to visit along alternate routes. The spread-out nature of the region means you will benefit from being based towards the centre, and be able to venture out in different directions each day. In the village of Stirling, and a short hop away from the main street, the Sticky Rice Villas are a quiet option for accommodation, attached to a cooking school where many high profile chefs guide themed sessions (stickyricecookingschool.com.au). For a fun pub, visit The Stirling Hotel (stirlinghotel.com.au), where upstairs you’ll find luxe rooms. Nearby, the tiny hamlet of Crafers has become a destination in its own right with The Crafers Hotel (crafershotel.com.au) winning multiple awards lately for its overall package of food, wine and rooms. At the top of a nearby hill is the majestic Mount Lofty House (mtloftyhouse.com.au) with a range of traditional rooms and cottages. The view over Piccadilly Valley whets the appetite for touring, but you might also want to get a walk in first through the neighbouring cool climate Botanic Garden – the tree colours mid to late autumn have become a major natural attraction. Closer still to a large number of wineries, and bang in the middle of the old German village of Hahndorf, The Manna and Haus Studio Apartments are smart city hotel style digs (hahndorfaccommodation.com.au) in the main street very close to all the shopping and dining you could desire. 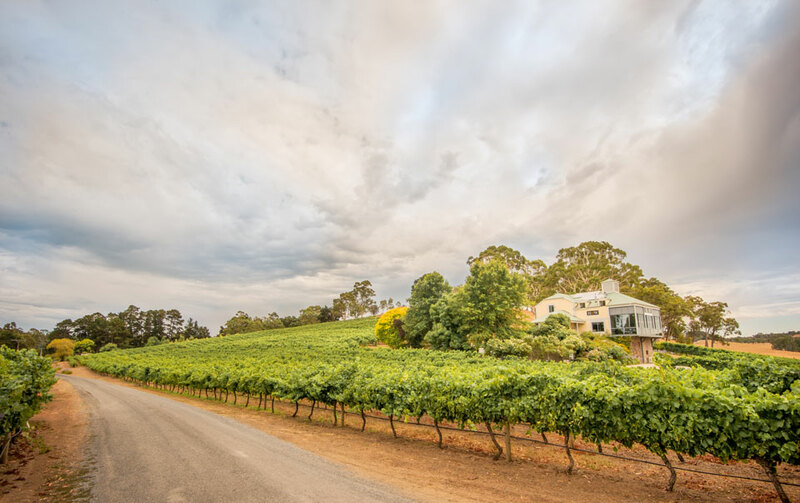 If you want to base yourself at a vineyard and farm setting nearer to the Lenswood/Oakbank/Woodside circle, Cobbs Hill Estate (cobbshillestate.com.au) offers a homestead B & B attached to their cellar door set in beautifully appointed gardens. Hamish and Kate Laurie in the Deviation Road vineyards. The closest entry point from the Adelaide CBD to the main stage of the Hills’ winery attractions in the glorious Piccadilly Valley is up the South Eastern Freeway. Turn off at Crafers and a couple of kilometres along Piccadilly Road you’ll spy a board pointing you right towards Tapanappa Wines (tapanappa.com.au), home to the region’s pioneer Brian Croser and his family who have been in the Valley close to 40 years. 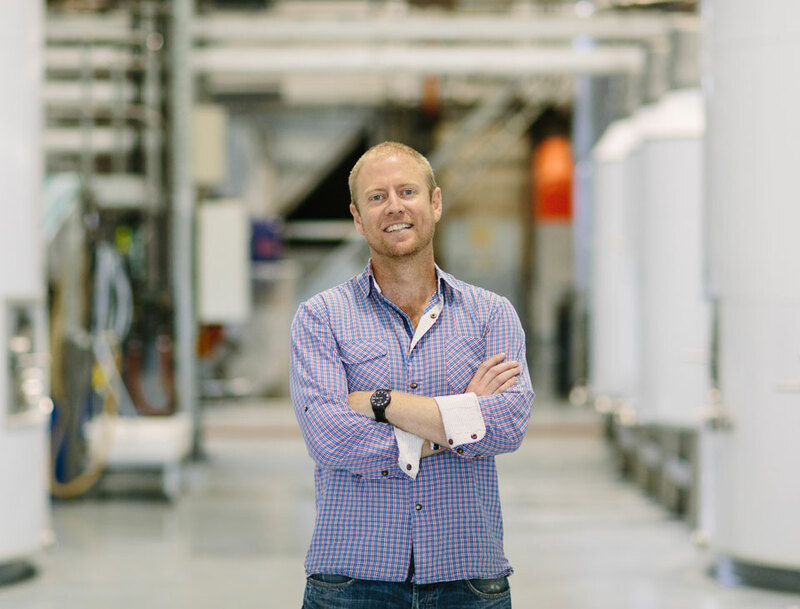 He only recently opened a delightfully airy cellar door set on the famous Tiers Vineyard, the source for his finest chardonnays. You can taste them, as well as his reds, across the bench. There’s pinot noir from his Foggy Hill Vineyard at one of the coolest and wettest spots on the southern Fleurieu Peninsula, plus Whalebone Vineyard cabernet, merlot and shiraz variations from Wrattonbully. Daughter Lucy and son-in-law Xavier Bizot’s Piccadilly Valley Daosa sparkling is also available. Look out for forthcoming sit-down tastings with Croser and his team. 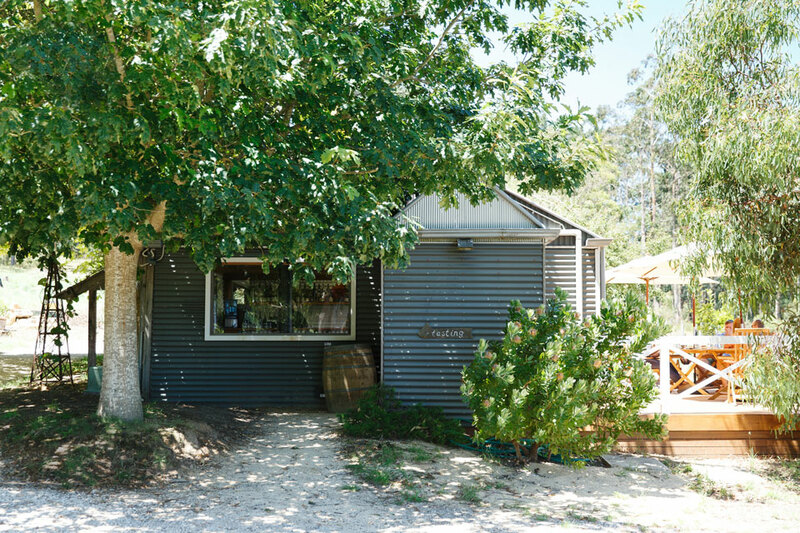 Continue through the Valley and up to the hamlet of Summertown, then head west on Greenhill Road to Greenhill Wines (greenhillwines.com.au) where celebrated wine scientist Paul Henschke and his wife, passionate cook Penny have built a welcoming eatery and cellar door. He’ll talk you through an intimate tasting of three sparklings, grüner veltliner, chardonnay, pinot noir, and cabernet and merlot – and for something completely novel, try the pinot noir-grüner veltliner blend. If you fancy the generous, sit-down Mediterranean-style lunch served on the weekends, stay a bit longer. 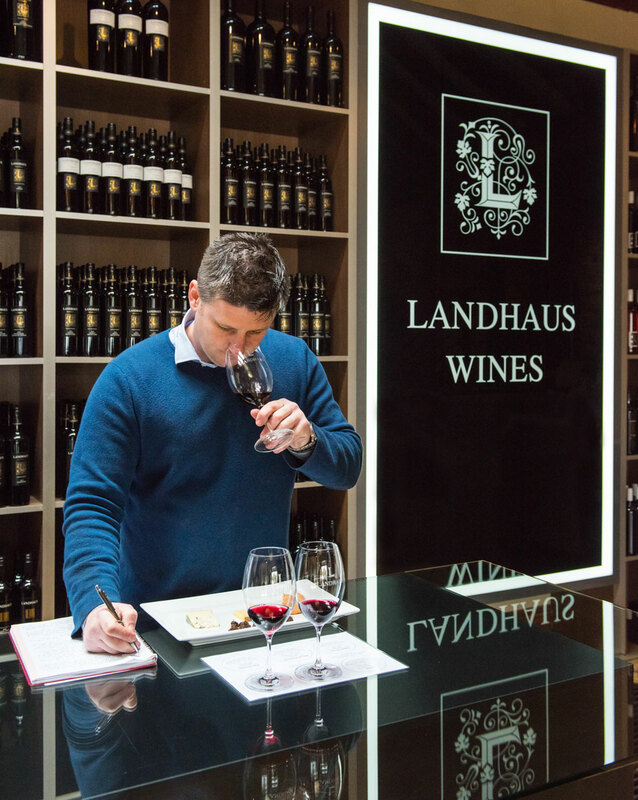 Kane Jaunutis of Landhaus Wines. Back towards Summertown and left into Tregarthen Road, up and down a couple of big-dippers and you’ll come to the famed Ashton Hills (ashtonhills.com.au), home of what is generally considered the benchmark of Adelaide Hills pinot noir. Although now under the ownership of Wirra Wirra, founding winemaker Stephen George is still hands on, but his once tiny shed-like cellar door has a new deck an arm’s length from the first row of vines. For another half-day pinot noir experience, book in for a guided tasting then a two-course lunch, with three more pinots included, at Stanley Bridge Tavern in Verdun, 15 minutes away. A lot of the most recent noise out of the Hills has centred on that crew of natural winemakers based in and around Basket Range, that I mentioned before. Most of them don’t accept visitors, so the best places to see these wines are at The Summertown Aristologist, a seasoned produce-driven restaurant (thesummertownaristologist.com) that is the home for Lucy Margaux and Commune of Buttons wines, and in neighbouring Uraidla at Lost in a Forest (lostinaforest.com.au), a converted church now a fun bar and pizza lounge run by Taras Ochota of Ochota Barrels. Wine(s) by the glass or bottle(s) over food is the mindset in both places. A bit further down the road from Uraidla is CRFT Wines (crftwines.com.au), open on weekends only and emblematic of the intimate cellar door experiences to be had all over the region. Add to your Hills repertoire of pinot noir experiences with a specialised tasting of single vineyard expressions from here and from other producers. Taste in the vineyard, in the cutest little shed with tiny barrel hall, or on the deck. A turntable and vinyl selection might keep you longer than expected. Make your way from here across to the villages of Bridgewater and Aldgate and from the latter head south-west to Deviation Road Winery (deviationroad.com) where Kate and Hamish Laurie have forged a reputation as the region’s most respected sparkling wine producers. There are other wines on the menu here as well, but a couple of structured bubbles flights are the main game with tasting mats and fine glassware, topping out at an elite guided tour of two of their own wines plus a couple of the Laurie’s favourite Champagnes. Now you’ve nailed the pre-dinner drinks, head back into Stirling or Crafers for dinner. At the hotels, you’ll find both pub classics and fancier plates. The Crafers do theirs in French mode and have a huge wine list and cellar room to go all out – ask for the ‘big book’. One Hills winery gets pride of place on the blackboard every month as a local hero among the otherwise vast global selection. It’s not all about wine anymore. 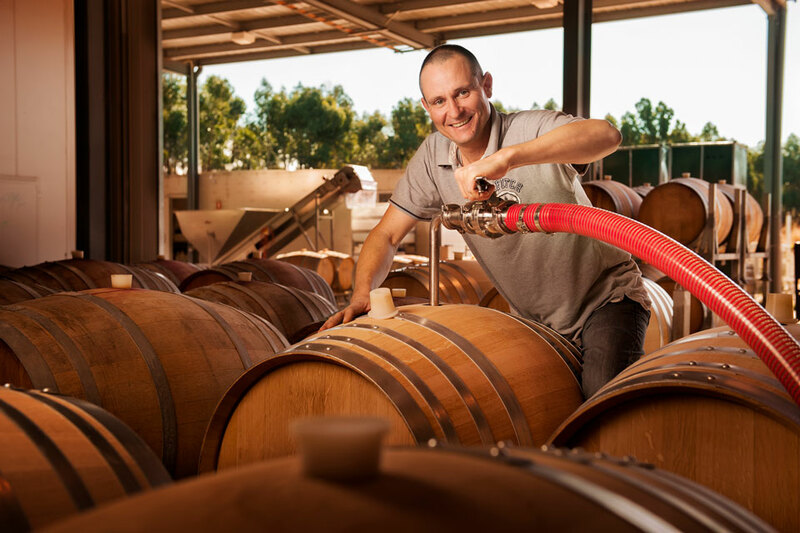 The Adelaide Hills is an engine room of artisan brewing and distilling with several venues that are vital visits if your taste buds are needing a rest from their vinous workout. Gumeracha’s refurbished cold store houses Applewood gins (applewooddistillery.com.au) and its associated Okar amaro production facilities and tasting rooms where you can engage in a range of tasting flights as well as tour the distillery. In the same mode, the new Lot 100 (facebook.com/Lot100AH), on the outskirts of Nairne, houses Adelaide Hills Distillery, Mismatch Brewing Co, Vinteloper Wines and The Hills Cider Company in a boldly designed shed. Ambleside Distillery (amblesidedistillers.com) has a relaxed bar and deck for tastings and cocktails on the edge of Hahndorf while two leading craft breweries add further colour: Lobethal Bierhaus (bierhaus.com.au), with a good pub-style menu as well, and Prancing Pony Brewery (prancingponybrewery.com.au) in Totness. Today we’re heading out to the centre circle of wineries around Oakbank, Woodside, Nairne and Lenswood, into what is again like a big canvas of Hans Heysen gum tree country. You’ll need a decent start, so get the ball rolling at The Uraidla Bakery (uraidlabakery.com.au) attached to its sibling brewery and hotel. The coffee and food are both good – don’t go without indulging in a cinnamon scroll. Then head along Greenhill Road – you passed this way on day one to get to CRFT Wines – and continue to Oakbank where Clare maestro O’Leary Walker (olearywalkerwines.com), who taps into the Hills for its sauvignon blanc and pinot noir, has a cellar door in the old Johnston Brewery and cordial factory complex. You can buy the original formula cordials as well. From here go out along Onkaparinga Valley Road towards Woodside where a mini-cellar door hub has evolved. The first of them to the right on Mappinga Road is Murdoch Hill (murdochhill.com.au), where a clever architect has downscaled a large farm shed into a relaxed tasting space and home to GT WINE Young Winemaker of the Year Michael Downer’s contemporary collection of Hills chardonnays, pinots, and artisan blends. Wind your way now to a trio of cellar doors east of the busy Woodside village, where you can fuel up your car, and yourself with coffee and more baked goods. There are some big names here, starting with Bird in Hand (birdinhand.com.au) and its luxury function facilities and restaurant – keep an eye out for the helicopters ferrying celebrity visitors. A range of tasting options will get you underway, and if you’re up for a high-end lunch, a six-dish degustation is available seven days. Otherwise grab a bottle of Royal Adelaide Show Trophy-winning Pinot Rosé and a platter to have on the terrace. 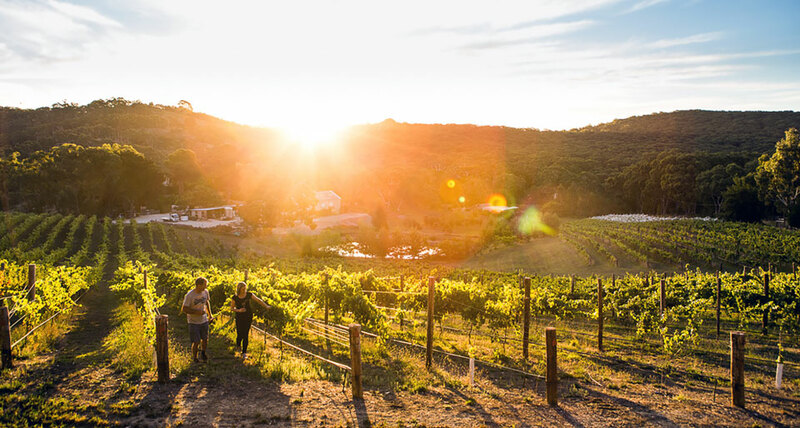 Further along the same road, elite brand Petaluma (petaluma.com.au) has established a major winery and cellar door site – the view across the Onkaparinga Valley is fantastic. Inside, five different tasting flights, including sparklings and a highly recommended chardonnay set, come with accompanying nibbles and tasting sheets. For the more adventurous, ask to see the Project Co. wines made by Petaluma’s young winemakers – the 2016 Barbera is a beauty. Up the hill from here is Artwine (artwine.com.au), where there’s a designer glass viewing room containing artwork and providing 270-degree views of the landscape. There’s a range of alternative varieties to taste here like grüner veltliner, albariño (the first in the Hills), and glera (prosecco). Grab a platter, a picnic rug and set of bocce balls for a fun time on the lawns. If you want a sit-down lunch in a cellar door, nearby Lenswood neighbours Pike & Joyce (pikeandjoyce.com.au) and Mt Lofty Ranges Vineyard (mtloftyrangesvineyard.com.au) both do fuller menus Thursday to Sunday with more casual options at other times. It may be a cliché but the outlook from both tasting rooms are breathtaking, with vine-covered slopes dropping away dramatically to endless panoramas. In winter, however, they might be draped in fog – different scenic memory yet equally emotive. Both wineries are armed well with chardonnays and pinots, and Pike & Joyce’s Innesti Nebbiolo and L’Optimiste Shiraz add further tasting options. 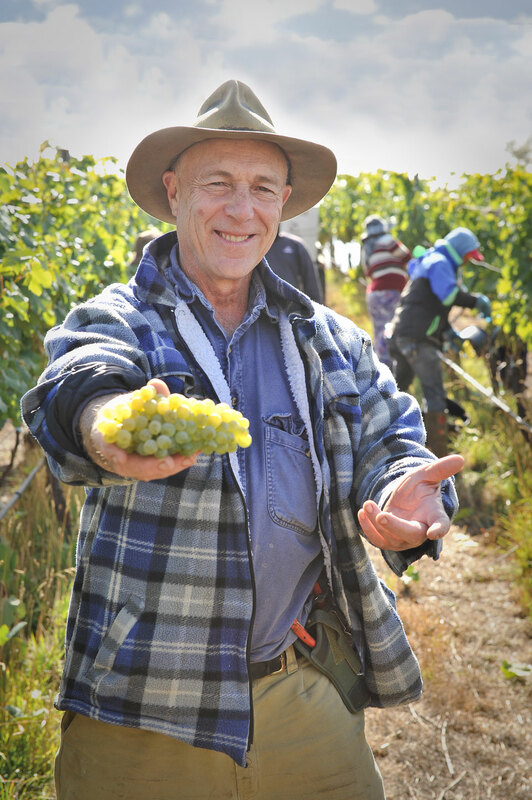 Mt Lofty Ranges Vineyard’s Old Cherry Block Sauvignon Blanc will please fans of the variety. Coming off the Lenswood heights will excite any road-tripping driver – take it slowly around here, and take the opportunity to buy a roadside bag or two of fresh autumn apples and pears or early summer cherries, depending on the season. Then find your way back towards Lobethal village and Golding Wines (goldingwines.com.au), a function and wedding venue but with a regular cellar door as well. Book ahead for a Wine Safari tasting experience on platforms built into the hillside vineyards or even more unique, try Golding’s new Nido experience housed in a hand-woven willow nest on the top of their highest vineyard hill, designed to take five to six people for a two- to three-hour food and wine highlight. An alternative to the Lenswood sub-district is to head south from Woodside towards the village of Nairne, where the new Lot 100 venue has recently opened (see Distilleries & Breweries). A few minutes further south Howard Vineyard (howardvineyard.com) is open Wednesday to Sunday with one of the more inventive menus in the region centred on Asian fusion dishes like crispy pork and kimchi dumplings or beef salad with Vietnamese bun-cha dressing. A top-shelf tasting of four Amos wines with bite-sized eats is another option as is a six-wine tasting – try the two cabernet franc variations, picked on the same day, one in rosé form the other as a modern, medium-bodied nouveau style. Done for the day? Head back to Hahndorf for the night and get into the Germanic mood with a dinner of wursts, schnitzels, or pork hock at The Haus Restaurant (haushahndorf.com.au). From the north you can plan your trip to take in the small villages of Mount Torrens, where Lobethal Road Wines (lobethalroad.com) opens its homely cellar door and courtyard on weekends. 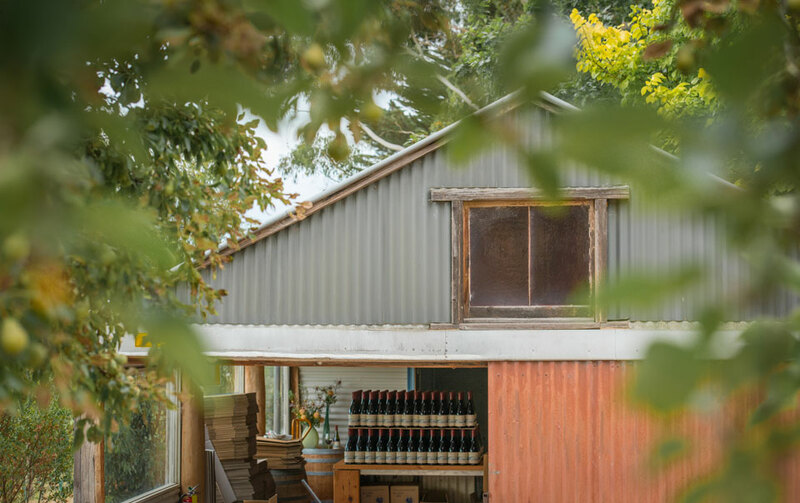 If you go via Gumeracha it’s the old fruit cold store that beckons, turned rustically into a distillery and cellar door for Applewood gins and Okar amaro as well as Unico Zelo’s (unicozelo.com.au) inventive batch of alternative style wines. From McLaren Vale you can easily map your way in via the Kuitpo Forest area and head to K1 Wines’ (winesbygeoffhardy.com.au) captivating timber lodge cellar door overlooking a lake. This is the Hills arm of the Geoff Hardy group, where unusual varieties join more traditional styles and you can create your own plate of cheeses and meats from their fridge. Next door, Duane Coates and Rebecca Stubbs of Coates Wines (coates-wines.com) open their renovated shed cellar door on weekends for a taste of Coates’ very smart set of mostly familiar varietal reds and blends. Stubbs is a renowned chef so her platters are a must as well. 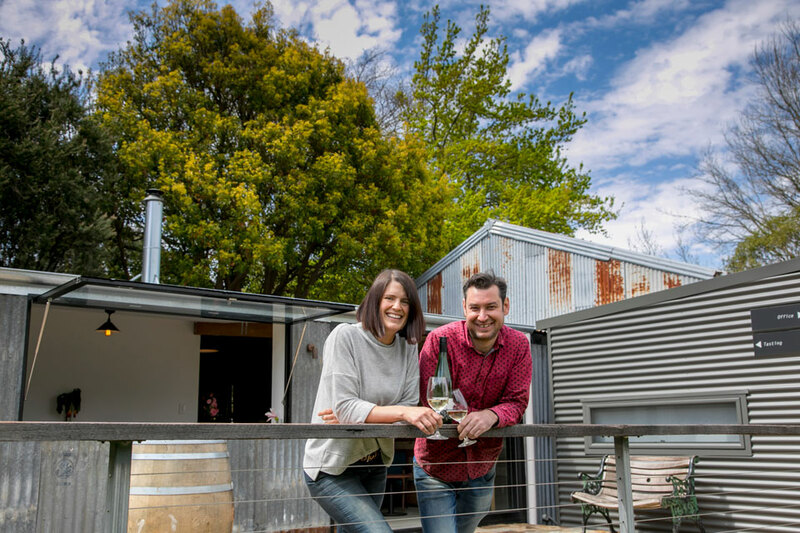 The southern sector is worth a side trip on its own with Karrawatta’s (karrawatta.com) seven-day Sophie’s Hill cellar door nestling into its gully of vineyards in a section just outside the village of Meadows. Two regional whites, the sauvignon blanc and pinot grigio are worth the detour. The main attraction just outside the nearby small village of Macclesfield is Longview Vineyard (longviewvineyard.com.au). Its cellar door, restaurant, function centre and accommodation complex command eye-popping views. Longview has been one of the pioneers of nebbiolo, and has a specialised tasting available of its varying styles from the variety. A range of well-set up homesteads and rooms also allows for a more serious stopover. Shaw + Smith’s cellar door. If you’re a big breakfast kind of person, The Haus will definitely satisfy, or walk the main street to find plenty of other options. Otherwise start your engines and head to nearby Verdun to Walk the Talk Café (walkthetalkcafe.com.au) where former Bathers’ Pavilion, Magill Estate, and Universal Wine Bar chef Ali Seedsman has set up a rustic enterprise that’s great for simple breakfasts. There’s a generous lunch list, seriously great cakes and, on Friday nights cleverly themed set dinners, with a small but well-loved selection of Hills wines and beers on the go. Down the road a couple of hundred metres is the Stanley Bridge Tavern (stanleybridgetavern.com), with its fabulous gum forest beer garden you’ll find a hearty menu above and beyond the usual pub deal, and a newly built bottle shop which houses an excellent collection ranging from small Hills producers all the way to smartly curated internationals. 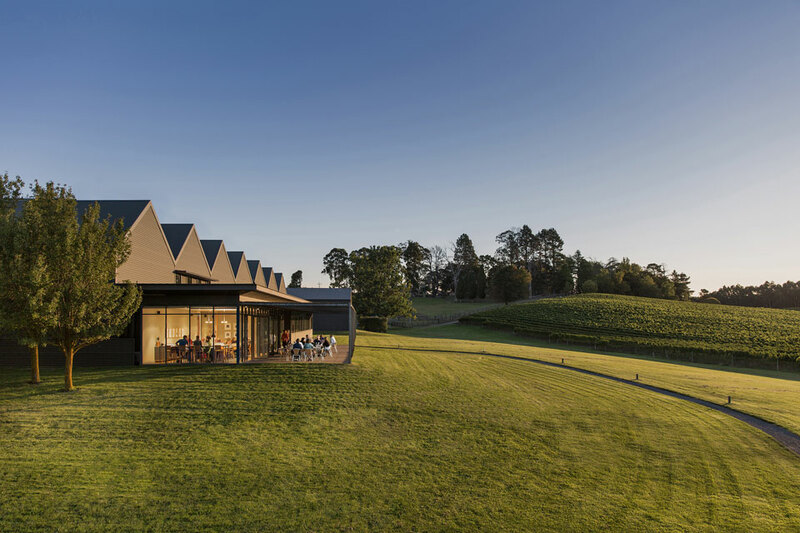 The Hahndorf to Balhannah area is another busy round of cellar doors that includes the must-see, timelessly modern Shaw + Smith (shawandsmith.com) winery complex. If you’re a fan of their wines, be prepared for so much more via guided sit-down tastings, including limited releases, single vineyard wines, and artisan plates. Book for a behind-the-scenes tour, shared table lunch and an elite tasting of current and back vintages. Separate tastings of the associated, and much lauded, Tasmanian Tolpuddle Chardonnay and Pinot Noir are also available. Across the road, Nepenthe (nepenthe.com.au) is a more traditional set up with over-the-bench tastings, and DIY platters and picnic rugs to enjoy on the vast lawns – you can even BYO food to have with a glass or bottle of wine. Head back now towards Hahndorf and veer east of the township to The Lane Vineyard (thelane.com.au) for its own variations of redeemable tasting flights across different levels of block, estate and premium wines. Everything’s by the glass in the high-achieving restaurant – a box to tick for one of the better Hills dining experiences. Arrive half an hour early for your booking to squeeze in a free tasting. Museum bottles are available to buy, a new terrace is open for sit-down cheese and charcuterie boards with drinks, and the views are endlessly mesmerising. Also on Hahndorf’s outer rim, Hahndorf Hill Winery (hahndorfhillwinery.com.au) focuses on its unique range of Austrian varieties – it’s the region’s pioneer in grüner veltliner, and is also stretching into exciting reds such as blaufränkisch and zweigelt. Try an Austrian flight, or another of the cellar door’s specialties, a chocolate and wine matching experience. 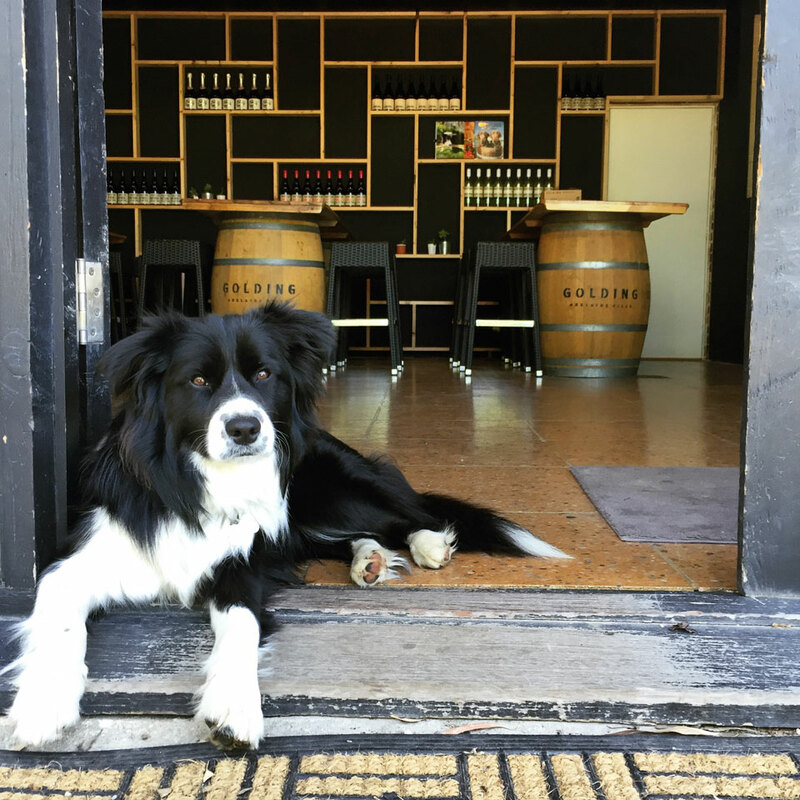 If you’re visiting with a group Wednesday to Sunday, perhaps sidle off to Sidewood Estate (sidewood.com.au) back in Verdun for an over-the-bench tasting with excellent chardonnay, sparkling, pinot noir and their own Sidewood apple and pear ciders. Burn off a bit of steam with a popular golf challenge, teeing off from the cellar door to a lake island hole (potentially in one). It can become quite a raging affair late in the day on weekends. Sam Scott of Scott Wines. Somewhat opposite in approach, back in Hahndorf, the living legend that is Wolf Blass has set up a new architecturally pleasing museum and gallery (wolfblassgm.com.au), gutting an historic bank to feature a wine bar with a new collection of specially made and labelled wines, smart bar food, and a gallery of memorabilia from his wine and horse racing days. It’s definitely worth sticking your nose in for a look at what has made his name so famous. A vibrant little wine-biz hub has also established itself at the northern end of the town. You’ll find Hersey Vineyard cellar door and bar (herseyvineyard.com.au) with its French cottage feel, Landhaus including its Hills whites and reds from a range of other SA regions, and Scott Wines (scottwines.com.au) open the first weekend every month and featuring an exciting sub-brand of Italian varieties mostly now grown in the Hills region. Across the road is former Penfolds winemaker Rob Moody and family’s Somerled (somerled.com.au) cellar door with a terrific range of Hills whites, a rosé and a pinot noir, as well as a few warmer climate reds from other regions. No bench tastings here, but buy a half or full glass, order a croque monsieur and sit by the fireplace in winter or in the courtyard in summer – it’s open until 7.30pm, Thursday to Monday, acting as a local wine bar – a rarity in the region and a mighty fine way to wind down your visit. 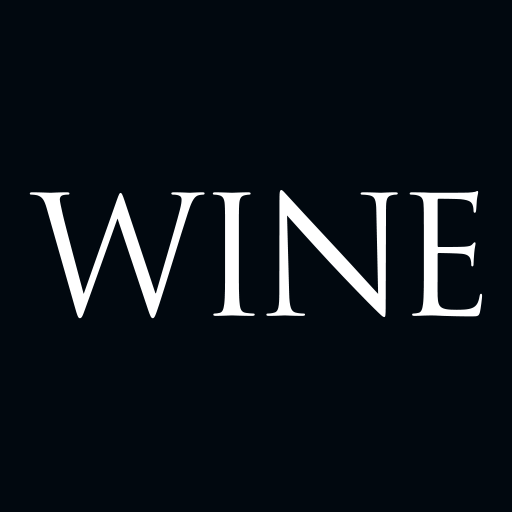 Head to winecraft.com for more Adelaide Hills cellar doors and to plan your own itinerary. 2018 Artwine The Real Thing Albariño (A$30) This Albariño is the first in the Hills. It’s briny and tangy with a salivating quinine-like, light tonic bitters note. 2015 Longview Nebbiolo Riserva (A$50) The top variation of this variety championed by the Longview Vineyard crew for more than two decades. It’s an impressive wine with violet and dark red rose fragrance leading into classic black cherry and fennel palate sensories that will only improve in the cellar over the next 5-10 years. 2017 Pike & Joyce Doux Blanc Sauvignon Blanc (A$20/375ml) An unusual dessert take on the Hills’ most popular white variety. It’s prettily floral with honeysuckle blossom, a waft of sugared mint leaf, lemon pie sweetness and gingery/cinnamon spice lifts which hang neatly onto its seam of acidity. Delish! 2016 Coates The Garden of Perfume and Spice Syrah (A$30) A wonderful expression of cooler climate shiraz, but still with plenty of muscle to underpin its fragrant nose and blueberry-meets-liquorice, spicy and gamey palate. Stick this away for a few years. 2016 Lobethal Road Roussanne (A$25) The only one of its kind in the Hills, it has been beautifully created with a little leesy character. It has delicate honeysuckle senses with refreshing acidity on the finish that makes it a terrific food wine. 2016 Shaw + Smith Lenswood Vineyard Chardonnay (A$85) A single vineyard slice of the much more widely known M3 Chardonnay. This smaller volume special selection shows that racier edge in the variety and is intensely packed with minerally, citrus-pointed fruit power. 2017 Hahndorf Hill Winery Gru Grüner Veltliner (A$29) The peak style of this Austrian white grape by the pioneers of the variety in the region. This is quite a mouthful of crisp and punchy stone fruit plus grapefruit bite and flavour with typical peppery spices as a delicious palate seasoning. 2013 Deviation Road Beltana Blanc de Blancs (A$100) Champagne- trained Kate Laurie has crafted a serious traditional method Australian sparkling here with excellent complex autolysis characters, sweet nectarine fruit flavours and racy, citrusy zing. Somerled Apera (A$42) is a rarity and a must have once you taste it. Made in the Palo Cortado style from Riverland palomino grapes and barrel-aged for close to a decade now, it is golden and singing with a dry finishing Amontillado-meets-Oloroso harmony. 2016 CRFT Arranmore Vineyard Pinot Noir (A$39) It’s light and bright with dark cherry notes. It underwent 25% whole bunch treatment bringing a brambly and peppery spice. 2018 Murdoch Hill Ridley Pinot X Three (A$40) Pinot like you’ve never seen, a combo of pinot noir, pinot meunier and pinot gris that delivers bright reddish fruits with a woody and dusty spice layering. 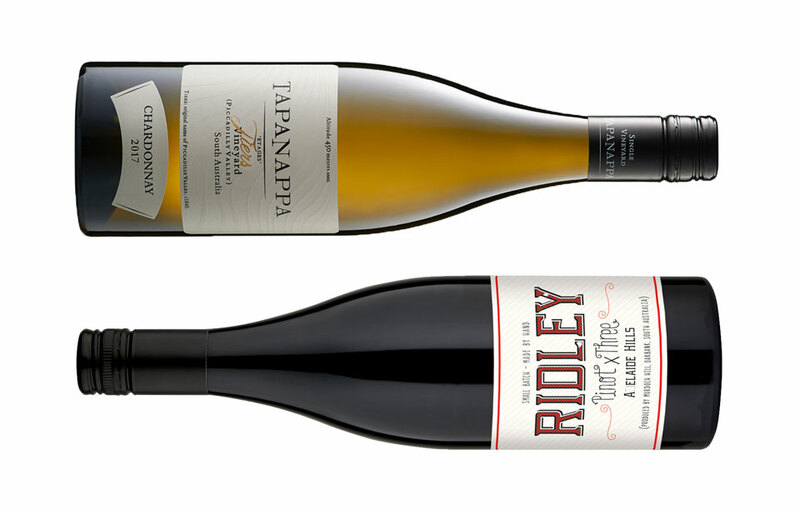 2017 Tapanappa Tiers Vineyard Chardonnay (A$90) will convince you that elite Hills chardonnay is right up there with the very best in the world. Its refined and sophisticated mix of white stone fruits and citrus with delicate nutty and yeast bun feels utterly beguiling.